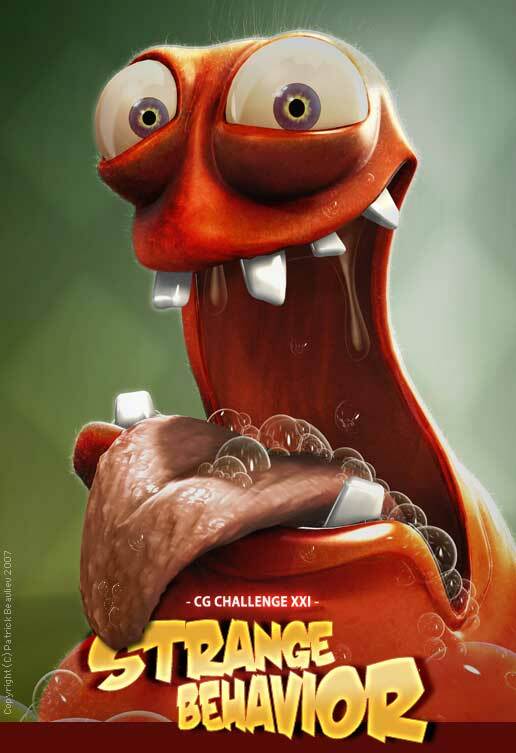 CG Society just announced CG Challenge XXI – Strange Behavior. The unexpected can delight or shock. It can be exciting or frightening. It’s often funny. It’s never boring! This challenge draws on one of the most popular artistic themes – unusual behaviors and relationships. Whether it’s a giant robot admiring a fluffy teddy or a sheep in wolf’s clothing; a cow that thinks it’s a helicopter or a warrior going into battle dressed as a giant pink bunny – they all make you stop and think. They also stimulate discussion – what one person finds funny another thinks is demented. Unusual juxtapositions and humor allow us an unprecedented freedom of expression. They can also bring us closer as we laugh together and at ourselves. Entrants are required to bring to life Strange Behaviors in the most entertaining, humorous and emotive way. I have always wanted to participate in one of these challenges, to see what I can come up with. This time around I actually think I have the time available until 29th of October to be able to submit an entry to one of the categories that’s appropriate for me. Illustration or animation, I think I’ll have to pass on short film. I’ll go on vacation in 8 days from now, so I have tons of things to complete before then, so I will let this challenge rest for a few days, but on my vacation I’ll have plenty of time to brainstorm together a concept for my entry, and then I might actually be on my way completing a piece for this one. I’ll keep my fingers crossed.